Oh yeah, baby, we went to GuardianCon 2018 and what an experience. 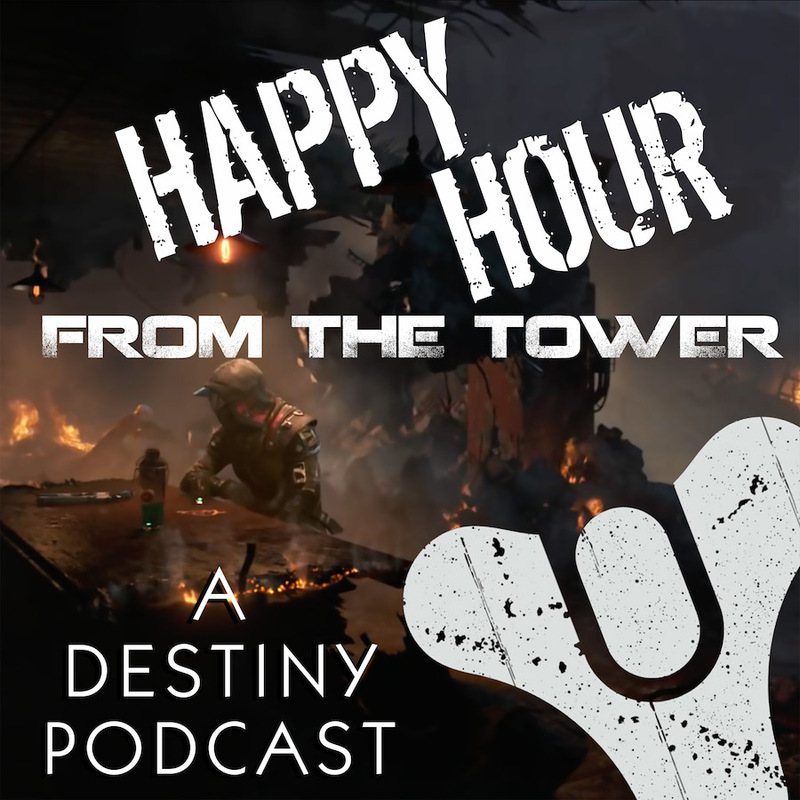 We finally got around the mics to talk about how much fun we had and what we learned from the weekend in Tampa amongst Guardians, streamers, and gamers of all kinds. Were you there? What did you think? Give us a call at 703.791.1701 or podcast (at) happyhourfromthetower (dot) com. We’d love to hear from you! Get your groove on, Nick! And here it is — the new HHFTT Crucible Battle Cry! So…what happened to the HHFTT crew in June and July? Tee gets the Man Flu, and passes it on to his Day Job. There is a Forsaken show…that might be re-recorded now, but shortly after all this, there came this little event in Tampa, Florida. Let’s talk about this amazing experience called GuardianCon 2018!!! A reference to Black Jeopardy. Thanks, Nick. Tee shares NO LOVE for Ground Crews at United. Once we all got airborne, we were fine. And look at that — they found a Danfinity! Nick drops some knowledge on everyone here. The weird thing about GuardianCon. Something weird but so very, very real. And we loved it! Brandon was a little disappointed in how these folks are not good at getting pumped. Quick Shout-Out to HHFTT’s Favorite Voice Actor — HAPPY BIRTHDAY!!! How badly did people want to play Gambit? Was this new game mode worth the wait? Well, here we go with our review of Forsaken’s new game mode, Gambit. Special Shoutout to these guys — MikeTheIron and Averagewhiteguy2 — for being such a great Fireteam! A spirit of friendship in playing this game. A bit of a stumble in getting back into it! Sadly, Mr. Fruit was struggling with the new Titan super. And The True Vanguard brought the pain with a sniper! Brandon fell in love with the new super for Hunters. Diverting a bit to talk a bit about Realm Royale, or Fortnite Goes to the Renn Faire. Warframe was at GuardianCon, as well. And here’s where we just get goofy! Can we stop talking about Tee putting sunscreen on ZG? Does GuardianCon need a third day? QUICK TANGENT: KMagic101 is a big dude…and he’s intimidating AF! So…is it July 2019 yet? Voicemail from TD0013 — What happens when you become an affiliate? Before we go into the other voicemail, let’s talk about our SWAG: Wanted posters. …and a voicemail from Tom that makes Tee’s day. Thanks for joining us from GuardianCon 2018! Great episode boys! Guardian con was a blast, and Gambit’s line being 6 horus long was a yikes from me. So September cant come soon enough. Tee pleasure meeting you in tampa, realm royal is 100% a rip off of fortnite which is a rip off of pubg which is a rip off of h1z1 which im sure rips off something else….it never ends!